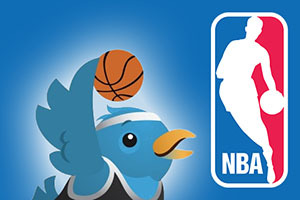 The fallout of the Paul George leg-break is still reverberating around the world of basketball and some of the biggest names in the sport have taken to their social media accounts to express their feelings after the injury. As you would expect , some of the biggest names in basketball have expressed sympathy for what the player has endured, and will endure in his bid to regain full fitness. There is no doubt that twitter is an excellent place for sports fans to see what their stars think about the latest and breaking incidents in sport. This is freezing the media slightly out of the game because if you want to hear what your favourite player has to say, you can read it direct from them. If you want to hear what a wide range of players are saying, there is a lot to be said for listening to what the media provides. This is down to the fact that if you follow so many players on twitter, you run the risk of missing out on comments, but if you follow the big media sources, you have a better chance of hearing everything you want to hear about. 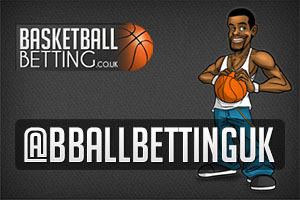 We’ll also take this opportunity to remind you that we have a twitter account so why not follow Basketball Betting on twitter? The reaction to the Paul George is the big story at the moment with respect to NBA and FIBA, but he is not the only player with an injury that has ruled him out of the big event this summer. Another player who will not be taking part in the 2014 FIBA World Cup is Ognjen Kuzmic and this is down to the fact that he suffered a stress reaction in his left leg. This injury will see him out of action for 4 weeks, leaving him out of the World Cup as he cannot take part in the training camps for the Serbian World Cup team. The player was involved with the summer league of the NBA this season and although this injury is a blow to Serbia, the Golden State Warriors believe that he will be fine for their training camp before the new NBA season.